MPI Antimicrobial is designed to inhibit the growth of damaging microbes such as bacteria, mold, mildew, fungus and algae. It is ideal for treating surfaces following cleaning and/or after mold remediation activities. MPI antimicrobial is environmentally safe, permanent and does not emit volatile organic compounds (VOC's). Many conventional antimicrobials and biocides are designed to poison microorganisms. Most of those products are effective at killing, but have a limited range of effectiveness as they act quickly and then dissipate quickly. MPI antimicrobial acts as a static agent preventative, designed to inhibit the growth or re-growth of unwanted microorganisms. It can be applied to most finished or unfinished surfaces, including wood, flooring, concrete, drywall, cinderblock, fabrics, carpets, furniture and many other surfaces. MPI antimicrobial is a clear, breathable coating that dries quickly. It is biodegradable and approved for use in homes, offices, schools, hospitals, daycare centers, commercial structures, etc. 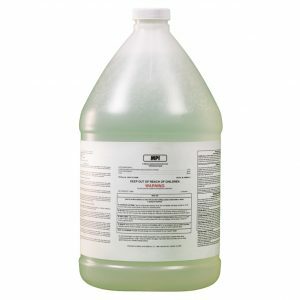 This concentrated antimicrobial is available at www.FastMoldRemoval.com or by calling 708-441-7982. MPI is available for $196.50/g. Multiple dilution ratios are available making MPI very affordable. MPI covers 700-900 sq/ft per gallon, depending on the application device used. Users of MPI will be pleased to know that MPI antimicrobial is compatible with MMR mold stain remover and shockwave disinfectant. They all can be used on a single job, in staggered applications. This combination is ideal as a rapid mold remover and as part of a broader mold remediation. The combination of products are often used for mold discovered in attics, crawl spaces and other interior areas.